Businesses are in constant search for opportunities to grow their brands and engage their customers. Today, having a web presence is no longer a luxury. It is instead an important avenue to bring a company’s products and services more intimately to their intended market. That’s why website templates like Magento eCommerce themes are popular these days. Small, medium and big-sized enterprises are looking at ecommerce website builders because not only it allows them to launch their websites faster while they are starting. Chosen wisely and done right, Magento eCommerce themes can just as quickly transform a humble business become a global marketplace player in their industries. At this point in time, what we are sure of are the usual promised benefits of selecting website templates: search engine visibility, flexibility, visual appeal, faster development time, scalable and more. A popular open-source e-commerce software platform, Magento boasts of its modular architecture that makes it very flexible. As well as its appealing appearance, Magento has numerous capabilities to empower small businesses. Even non-pro web developers can configure and customize their chosen Magento ecommerce theme. While still very young in the software marketplace, Magento is also well-represented with its numerous online shop maintenance capabilities. 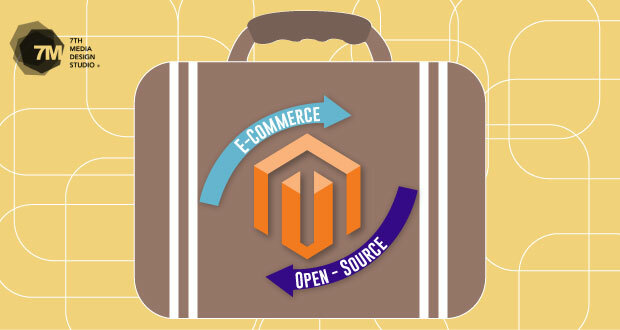 Below, you will see some of the resources for your Magento ecommerce development purposes. We carefully handpicked – albeit virtually – those which we feel offer the best and appropriate web commerce designs, Magento development tips, and more. Smashing Magazine is something of a resources juggernaut, isn’t it? And we won’t be surprised if you’ve bookmarked their homepage already. Their Magento ecommerce theme choices were only 25 but something to be very proud of. What’s with only 25 choices? Like Smashing Magazine, the online resource Practical eCommerce wants to offer a taste of what’s more there is to discover about Magento (including price tags for their selected themes) as a suitable and perfect ecommerce theme builder for just about any business types and sizes. With thousands already in the marketplace, wouldn’t it be nice to refer to just the carefully selected so you can immediately try the best for your web store? So Magazine Hive’s 35 best Magento ecommerce theme selections can be just as convenient for web designers or web developers looking for a shortcut in their selection process. Designrazzi forest the trees with only a “scratching the surface” list of their top Magento ecommerce premium themes: 225+! The keyword here is the “plus” after the 225. That’s what makes us all the more curious about this list, declaring so soon that it was a reflection of “modern trends”. So if you want to fight the temptation of going through different resources, you can stick it out here and be blown away with just how immeasurable the possibilities can get. Noting that some premium ecommerce themes are pretty hefty in the pocket, this 1st Web Designer list delves with mostly free Magento-based ecommerce themes that is never too far with premium ones in terms of capabilities and appeal. There were, however, only seven premium ecommerce templates added. But as promised, all 35 are insanely cool! More like a marketplace for Magento themes than a selection. Here, the picking is absolutely yours. And what you will find here are selected premium themes submitted by professional theme designers and developers so you won’t have to worry about quality and capabilities. There is also a powerful community that is supportive of anyone who’s delving into Magento web production. If you want to get started in building a responsive website based in Magento ecommerce themes, here’s the perfect sampler for you. Not only the template offers improved shopping cart, product view, product options and other powerful capabilities, Free Responsive Magento 1.7.0.2 theme comes with an educational video as well. What’s precisely great and appealing about GMPD, a fluid base responsive Magento ecommerce theme, is in the way it’s presented – clean and sophisticated design and layout. But as most observers have declared, GMPD’s light and modern visual appearance (and it includes the excellent Font Awesome icon font) comes packed with more features and power under the hood. For many of you who are starting out in using Magento to develop a responsive ecommerce site, this is one best theme to start with. Foundation 3 is often cited as the most advanced yet fully-responsive Magento-based ecommerce template builder. I agree to that because while free, it comes with multi-level mobile menu. What’s also really great about this responsive framework is its great fluid layout, which is suited for Magento 1.7 version. Other excellent features of this framework includes a nominal Magento template required files and off-canvas left-right sidebar columns with uncluttered and cool sidebar modules. You have to download it to see what’s inside the package. For a regular license fee of $90, you can take advantage of Ultimo’s vast potential for customization (from colors, responsive layout to design per page) and capabilities when starting to develop a fully responsive ecommerce site. Suited for almost all types of web stores and for those looking for a starting point, Ultimo might be just what you are looking for. The Ultimo theme also sports 50+ content placeholders blocks, which lets you place content in as many parts of the store as possible. Milano is one of the best-in-class Magento eCommerce themes suitable for fashion and trendy clothing and other apparel brand sellers. But with its easy to modify and well-structured layout and CSS files, it might win your heart as well. It’s also fully-responsive so you can maximize its use for mobile devices of all types. For your ecommerce business, Milano gives you immeasurable options to display your products as smartly as you can possibly can. Although starting price is $80, but it’s one of the best buys around. Another excellent responsive and multipurpose Magento-based eCommerce site is Platinum. It’s built on Twitter Bootstrap framework so you can expect a high-quality premium template for any type of business. What I love about Platinum is its simple, neat design. Minimal yet smart because it lets you focus on the products and services that you offer. As in the other premium Magento themes I picked out, this is definitely one that’s worth every dime you spent on it. There you have it, folks! Believe me, there are still a lot to present, but these top free and premium responsive Magento ecommerce themes are worth seeing in my view when you plan to build your web store. At 7th Media Design Studio, we have expert Magento ecommerce developers who can help you from planning, to installing to deploying your online business. It can be truly a nice and helpful bit of facts. My business is happy which you provided this useful facts about. Make sure you stop us updated this way. Thanks for revealing. Woah this specific website will be excellent i enjoy understanding your posts. Carry on the great art! You recognize, a lot of people feel the need around because of this data, you could assistance these individuals significantly.